Gotta Try ‘Em All! Asakusa Street Food (Part 1)	No ratings yet. 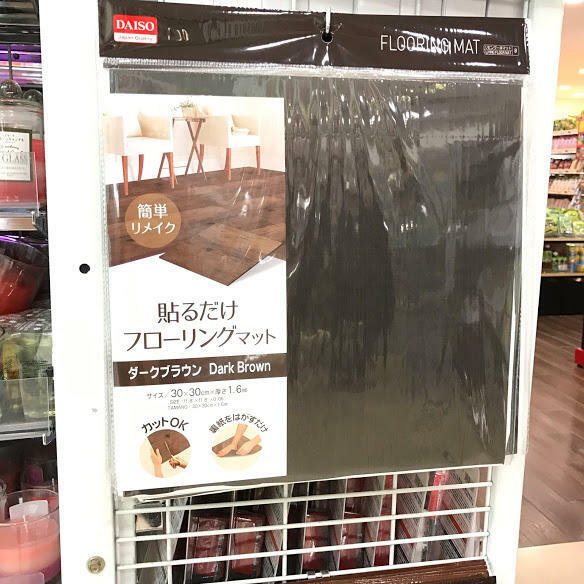 As you all know, Daiso is one of the popular 100 yen shops in the world. 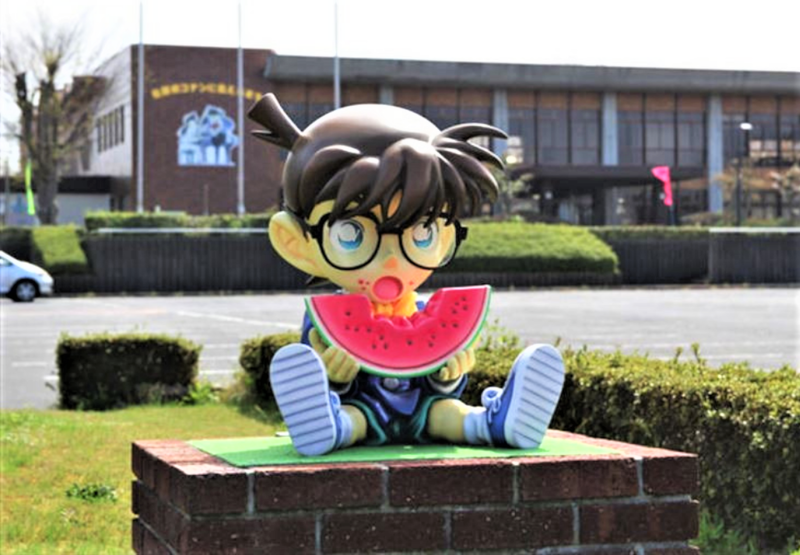 They supply many products that are not only cheap but good quality too. 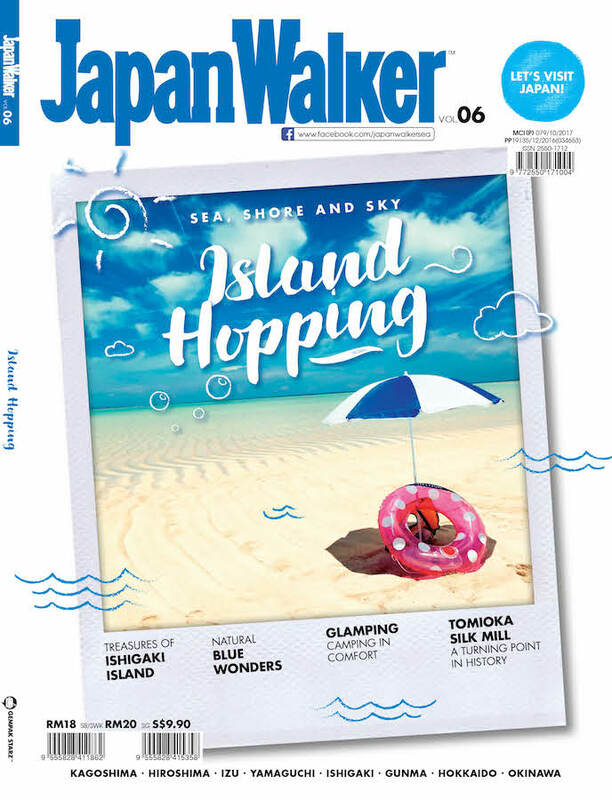 Last month, we posted an article about what can you buy in Daiso, for instance, makeup or cosmetics, travel essentials, and skincare products. 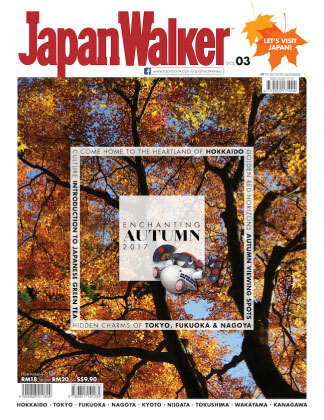 This time, we’re going to reveal to you some of the best Japanese souvenirs, foods, and decorations you can get at Daiso. 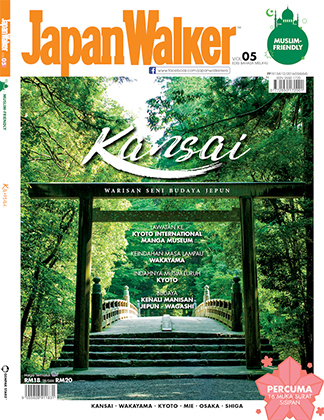 Image Source: Have Fun in Osaka. In the world of electric fan and air-conditioner, who needs a hand fan? Hey, did you know that hand fans are very useful during summertime? As you walk along the streets with nothing but heat, this hand fan will keep you cool. 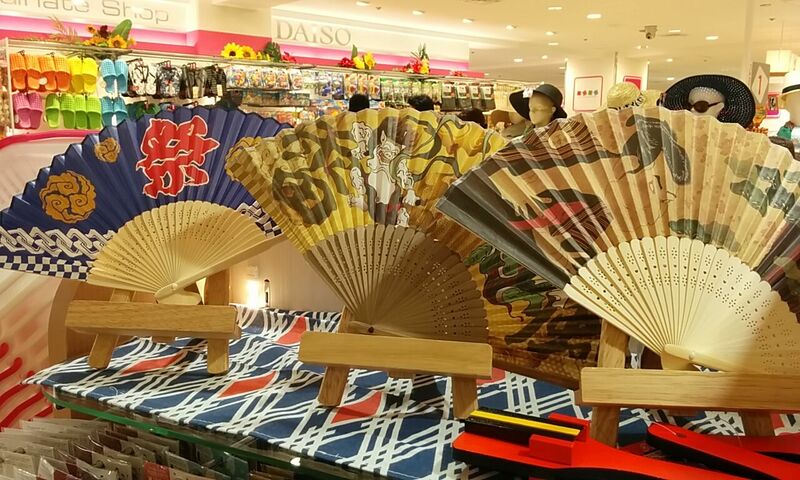 In Daiso, hand fans with Japanese motifs is one of the great things you can give as souvenirs. 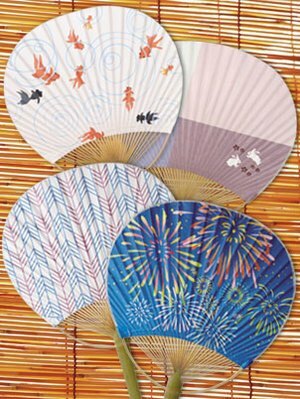 There are two designs of hand fans, which are the foldable hand fan and uchiwa (traditional Japanese hand fan) and it’s available in many patterns too. This adorable drawstring bags or pouch is useful to put your phone or any small items when you go out which is very practical. Shaped like a goldfish, this bag is available in two colors and designs and it’s made from rayon polyester and cotton material. 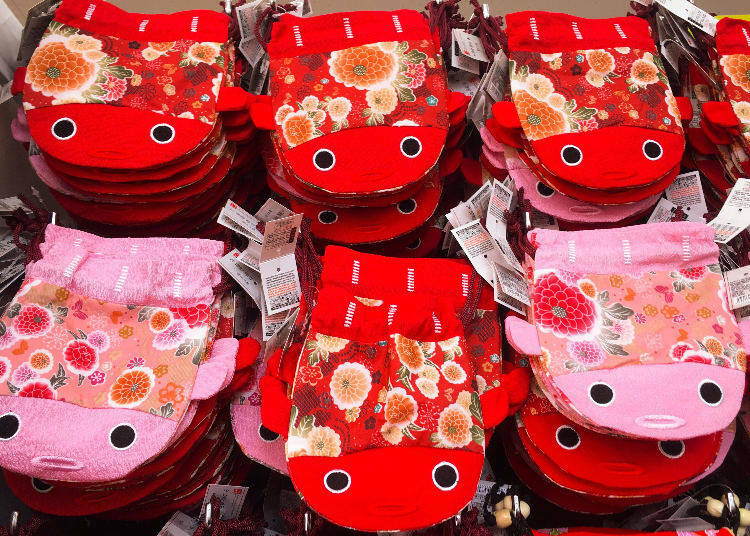 What is a better souvenir than a lucky cat? 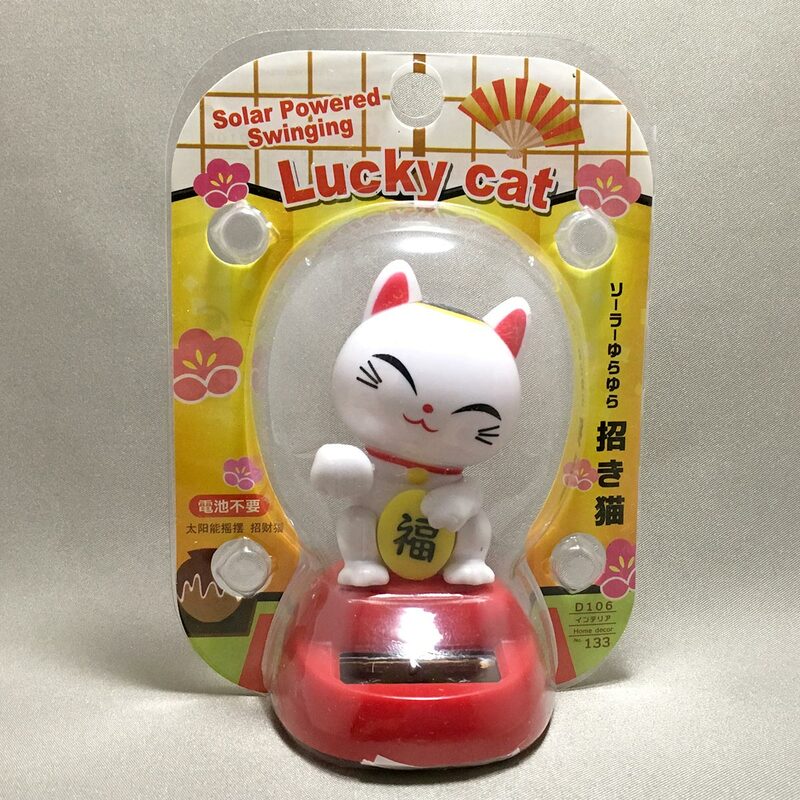 Also known as Maneki Neko, this cat is a symbol of good fortune and it is operated using solar energy rather than batteries. How to use it? Just put the cat under bright spots and it will beckon its paw up and down. Avoid placing the cat in your car because it can’t be exposed to a very high temperature and also on a metallic surface as it will affect the cat’s movement. Since it’s solar powered, please do not place it in dark places as it will not work. 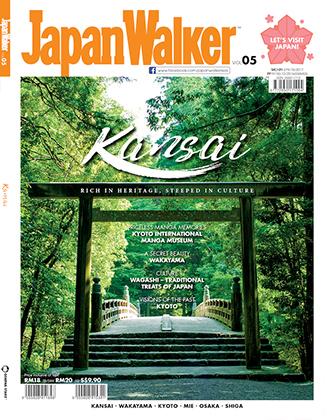 Image Source: Japan Travel Guide -JW Web Magazine. 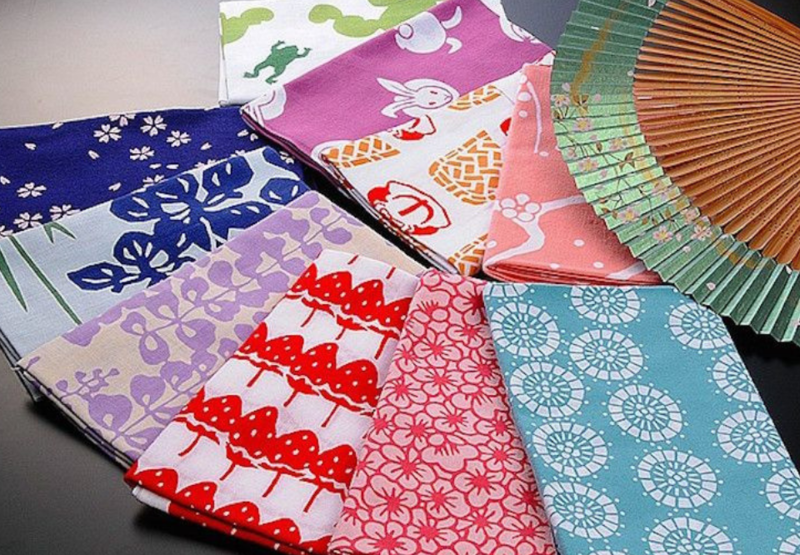 Tenugui is a thin clothing towel that can be used for several purposes, for instance, to wrap a tissue box, use it as a handkerchief or you can hang them as a wall decoration. Furthermore, the material is very light and it absorbs water very efficiently. 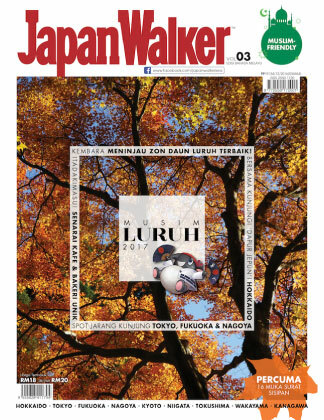 You can purchase tenugui in various designs with Japan’s most prominent features such as Mount Fuji, koi fish and many more. 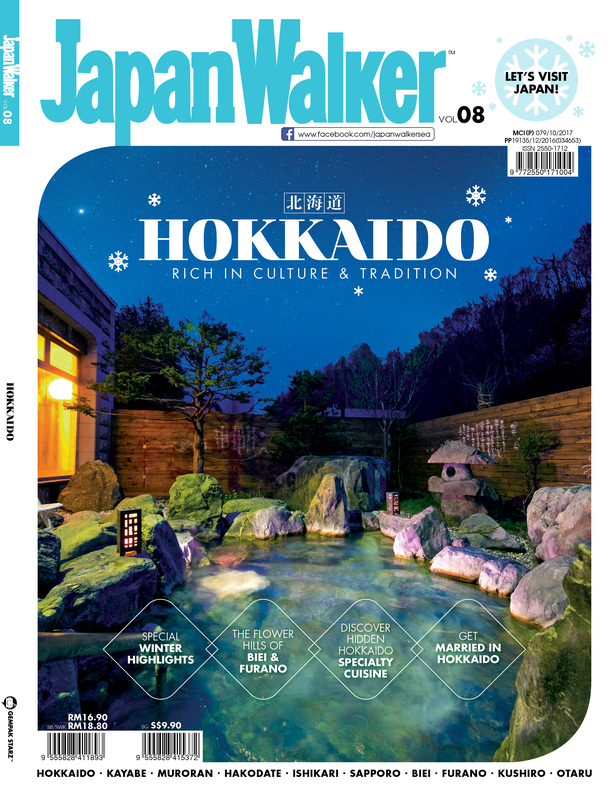 Seaweed combined with wasabi? If you love the spicy flavor, then you’ll love this snack. The snack is very crunchy and it comes in bite-sized, plus it’s the perfect companion for you to chew while working. One of Japan’s main snacks is rice crackers. 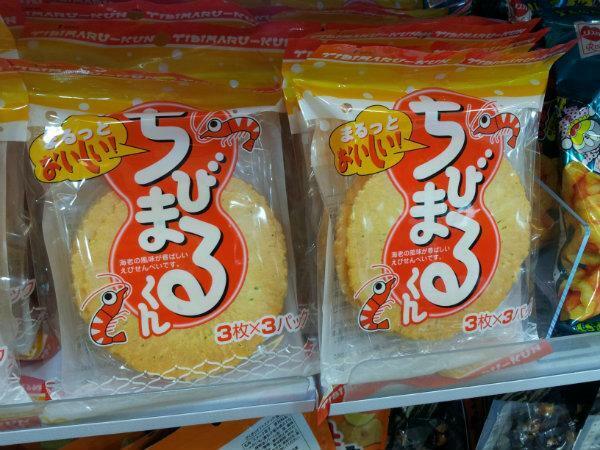 With many flavors to choose from, you can obtain shrimp flavored rice crackers and spicy rice crackers in Daiso. 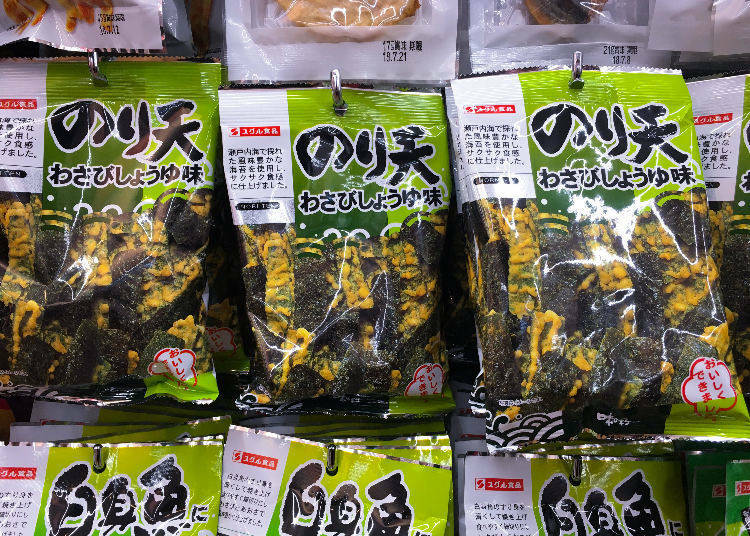 Other than that, they also sell salty cuttlefish rice snacks which are equally tasty too. You’ll be needing more than one pack of rice cracker, that’s for sure. 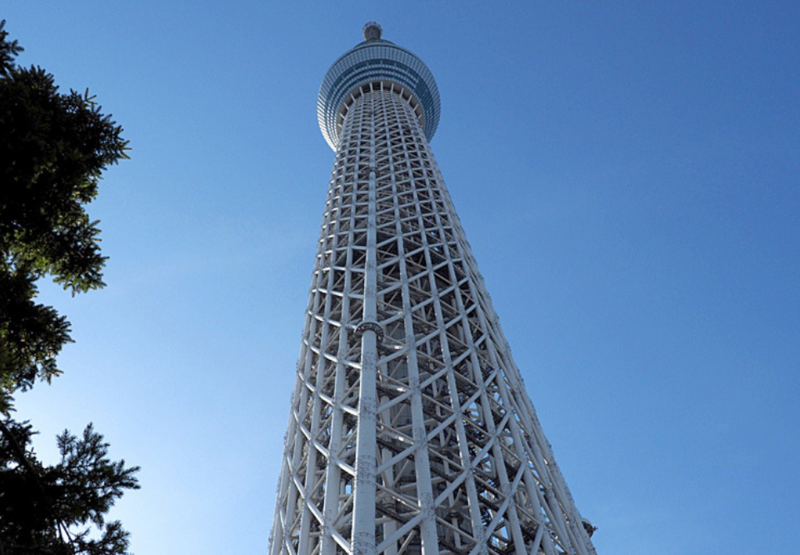 Who said you need to fly as far to Japan to enjoy their wonderful soba noodles? 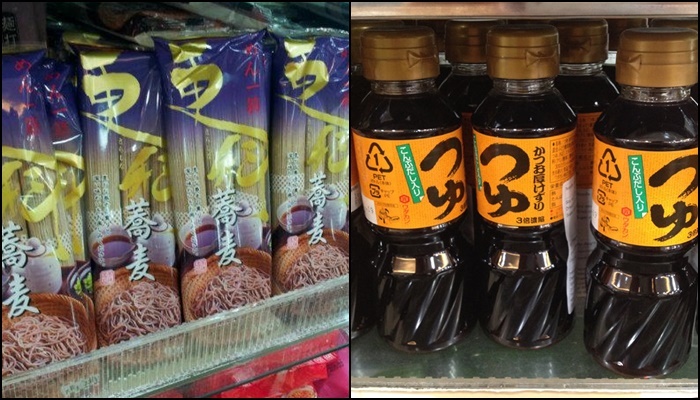 Before you think about skipping the food aisle, look for soba noodles in Daiso. One packet of soba noodles can serve up to two portions if you’re not a big eater. How to prepare the soba? Just boil the noodles in a pot of hot water like how you prepare your ramen. Additionally, you need to add noodle sauce which is also available in Daiso. Using these two products, you can enjoy soba noodles any time of the day. Image Source: Kenarah on WordPress. Ah, what is the essential element when eating Japanese food? Well, it’s none other than miso soup. If you don’t know how to make miso soup, you might want to go to Daiso after reading this. 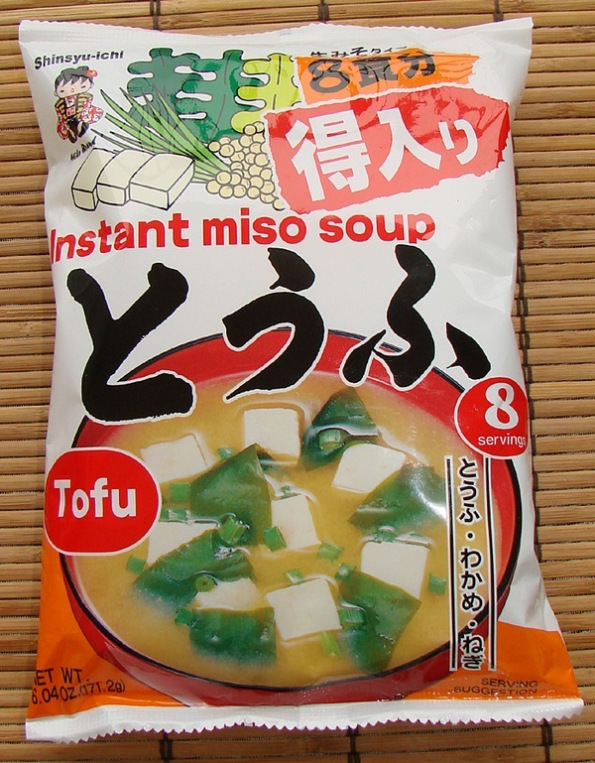 You can get instant miso soup in Daiso and it comes with many flavors too, for instance, seaweed, tofu, and clam. If you’ve never tried miso soup before, this is your chance. Although, the taste might not be as good as the original miso soup, but, it’s still nice. Image Source: Ladies who do lunch in Kuwait. Usually, people will hang these lights outside their house during festive season like Christmas. Girls, especially love to decorate their house or bedroom with fairy lights or colored lights. 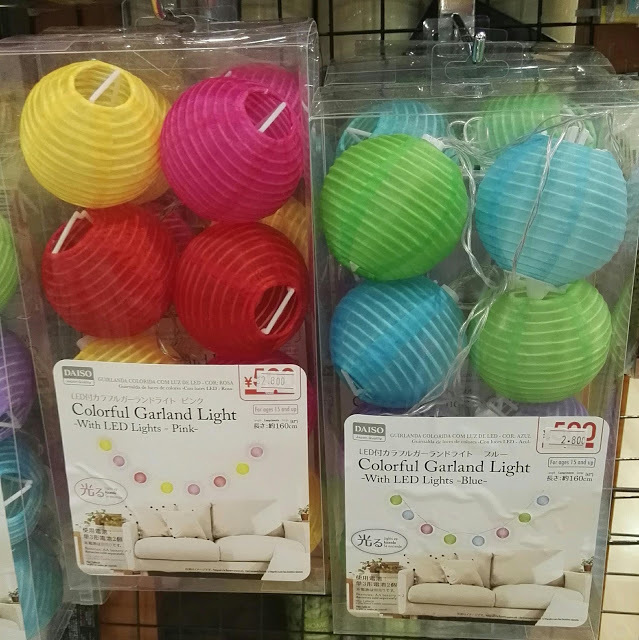 So, instead of hanging small light bulbs, why not hang paper lanterns? They’re colorful, light and last longer too. 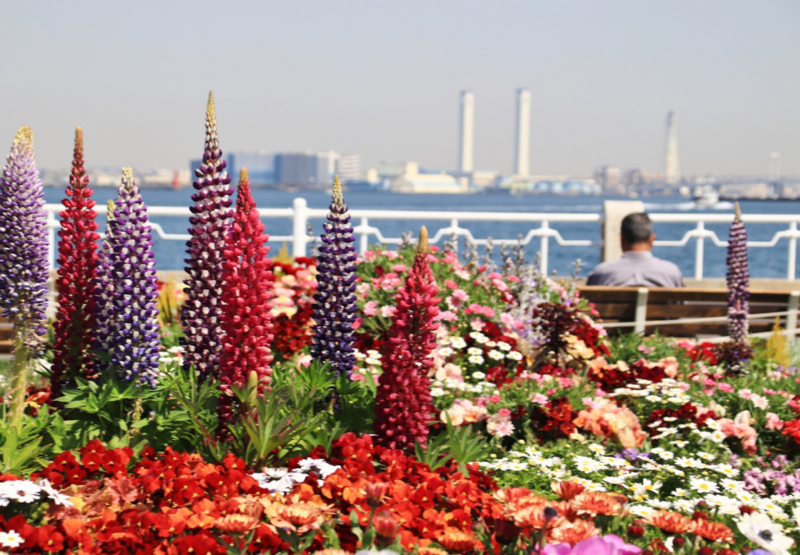 You can hang them on the walls or anywhere suitable. These paper lanterns will illuminate your house merrier than Christmas. 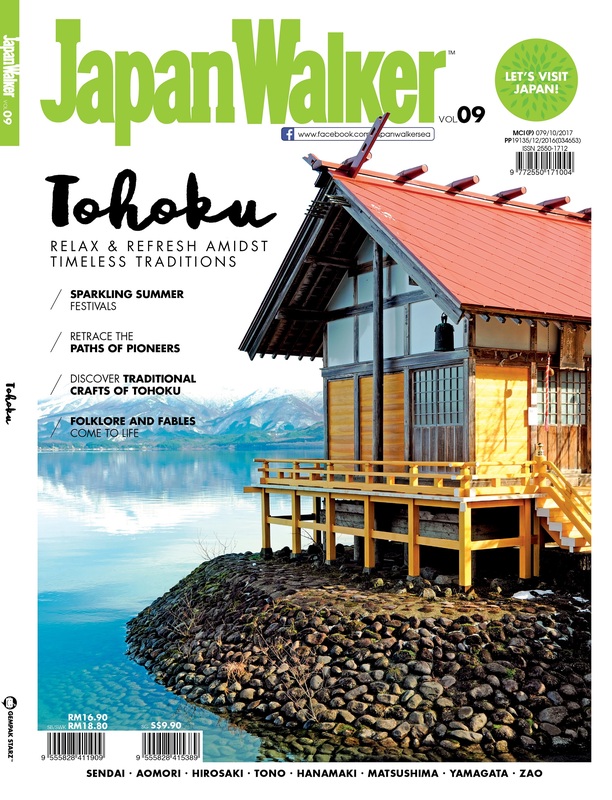 Image Source: Home and Décor. Need a new drawer but can’t afford to buy new ones? How about revamping your drawer by putting faux wood or floral panel stickers? They’re easy to stamp and comes in many designs to suit your taste. We all know how expensive it can be to put on a new flooring. Apart from drawers, you can also purchase faux wood panel stickers for the floor too. You can save a lot of money by transforming your house floors using only self-adhesive stickers. Furthermore, they also sell stickers for wall and kitchen with patterns like floral prints and brick walls to give your house an industrial look. Did you know that you can buy festive decorations for Christmas and Halloween in Daiso? They supply Christmas related items like ornaments for your Christmas tree, reindeer and Santa Clause’s hats, the typical red socks, Christmas wreath, and mini Christmas trees. 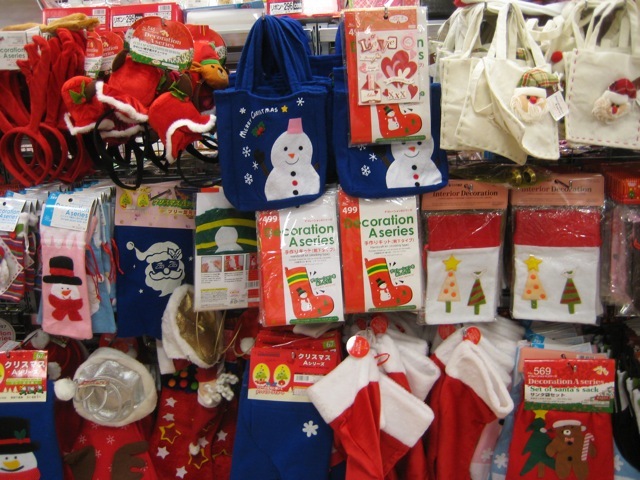 We recommend you to go to Daiso this month to shop for the Christmas decorations as these items sold out pretty fast. 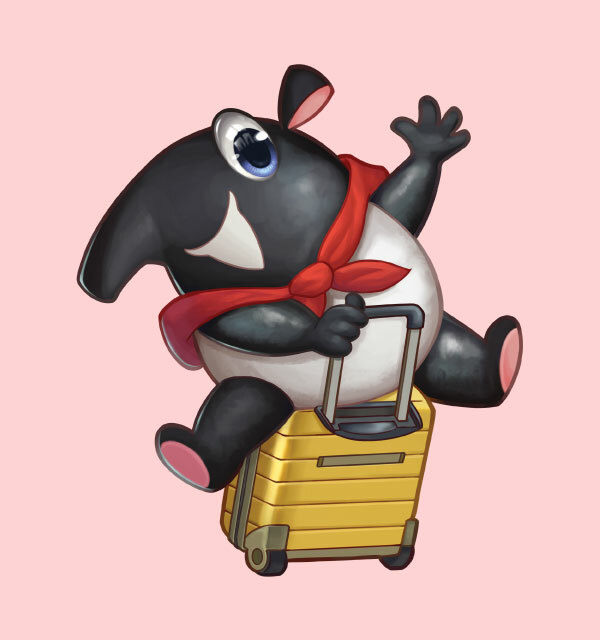 Other than all products suggested above, you can browse through Daiso’s website or simply go to the nearest Daiso to check out other items. 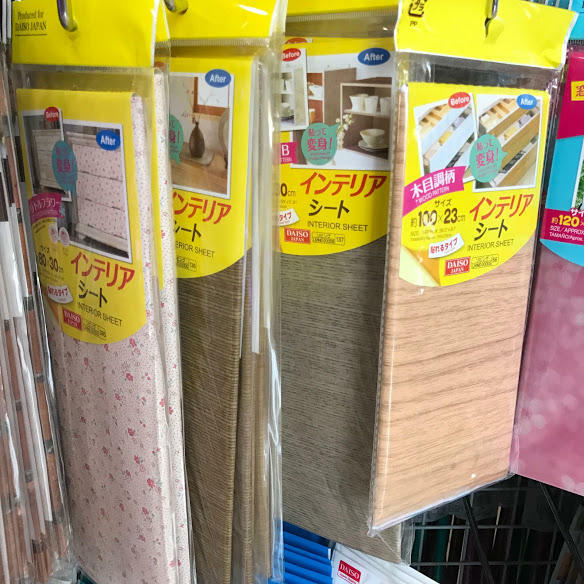 Never skip an aisle, who knows what you might find in Daiso. 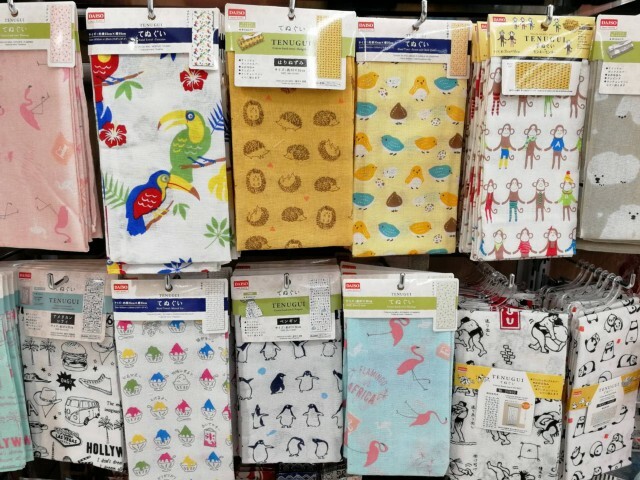 Hope you’ll find this post useful and if you haven’t read the first article of Daiso: What Should I Buy? Click here.